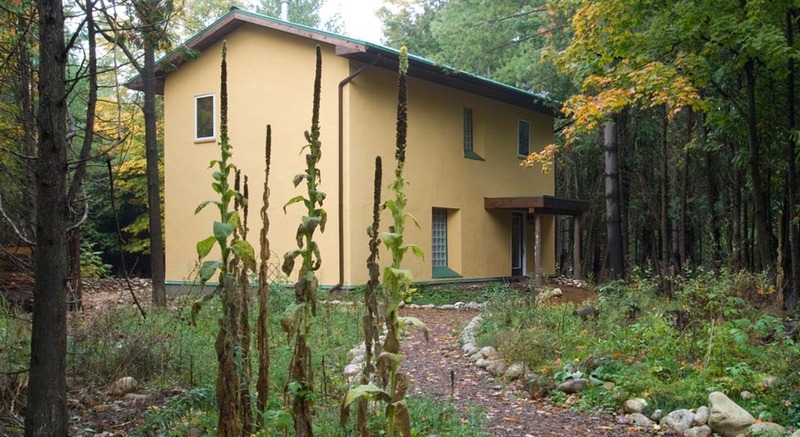 What started out as a prospective addition to an existing house, two years later became family move to a new passive solar home. The owners, a certified “Green Realtor” and a business communications specialist, enlisted the services of an architect to ensure that the building siting, orientation and design would suit their household and home-office needs while also providing respite from the ordinary rat race. The outcome is delightful – so too are the acoustics, we have been told following several jam sessions between the owners and some musician friends! Moreover, a key aim – passive solar energy contribution – is doing precisely as desired. Even on the most frigid winter day, if the sun is shining, the radiant floor heat distribution will often shut off as the air temperature rises only from the sun. And on cloudier days or later evenings, some sticks of wood in the woodstove keep the chill off and further offset the need for the boiler to feed the radiant floor. The cheapest energy is that which is never spent and passive solar design is the most effective manner to exploit this.